Emkay President Greg DePace was invited to an interview on the Fox Business show Varney &amp; Co. shortly after the fleet management company announced it would reward employees with a $1,000 bonus following&nbsp;the tax reform signed by President Donald Trump. For the full story, click here.&nbsp;Video courtesy of&nbsp;Emkay. 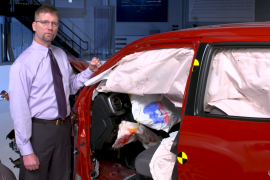 The National Highway Traffic Safety Administration explains what makes Takata air bag inflators life-threatening. 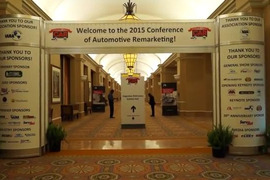 Video courtesy of NHTSA. 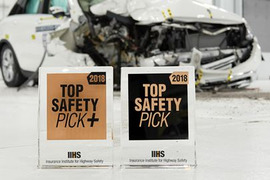 Because of more stringent criteria from the Insurance Institute for Highway Safety, the number of vehicles qualifying for the&nbsp;group's most prestigious award falls to just 15. 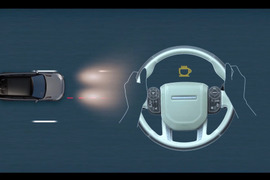 Video courtesy of IIHS. For the full story, click here. Dave Hansen, who previously served as general manager of GM Fleet &amp; Commercial Operations for General Motors before his retirement, was inducted into the Fleet Hall of Fame at the 2017 AFLA Conference. Read the full story here. Steve Bloom, who was previously the president of Enterprise Fleet Management before his retirement, was inducted into the Fleet Hall of Fame at the 2017 AFLA Conference. Read more here. Four out of eight small pickup trucks recently crash-tested earned top&nbsp;crashworthiness scores&nbsp;from the Insurance Institute for Highway Safety. Nonetheless, none of the trucks&nbsp;qualified for either of the institute's safety awards.&nbsp;Video courtesy of IIHS. For the full story, click here. 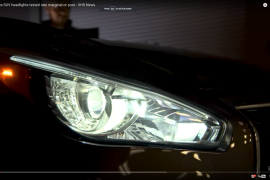 New headlight evaluations&nbsp;from the Insurance Institute for Highway Safety indicate that many mid-size SUVs need to do a better job of lighting the road ahead while limiting glare. For the full story, click here.&nbsp;Video courtesy of IIHS. The 2018 Land Rover Range Rover Velar, which debuted in London on March 1, boasts a range&nbsp;of advanced driver assistance systems. Video courtesy of Land Rover. 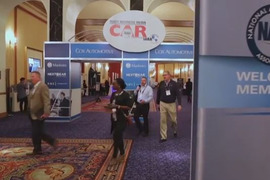 The 20th annual CAR took place on March 18-19 at Caesars Palace, Las Vegas. Watch the recap here! View photos here.